If you are scrambling for a last-minute gift for a young or would-be vegetable gardener, here’s an inexpensive, helpful option. Canada-based Lone Pine Press publishes a plethora of nonfiction books on everything from sports trivia to ghosts. 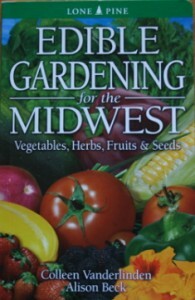 Generally speaking, Lone Pine books are broad rather than deep, and that’s certainly true of Edible Gardening for the Midwest – that’s also the point of a how-to book like this and the reason it’s a good option for beginning gardeners. 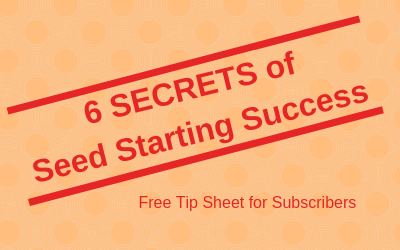 It gives readers enough information to be successful without overloading them with more details than they need. Edible Gardening, written by Alison Beck and well-known vegetable garden blogger, Colleen Vanderlinden, is the perfect guide for a new gardener who wants to grow vegetables. The book opens with the basics: hardiness zones, soil, light, how to use vegetables in ornamental plantings, as well as preparing a garden bed, composting and seed starting. It also includes an A-to-Z of common vegetable garden pests, with enough photos to make a newbie feel confident diagnosing typical pest issues. The bulk of the book goes from Amaranth to Watermelon, covering how to grow and harvest each vegetable. It’s the kind of book you might page through while thinking about ordering seeds. Do I have enough room to grow winter squash? Do I have the right soil type for blueberries or enough space to grow corn? Am I ready to commit to asparagus or raspberries or do I want the immediate gratification of green beans and tomatoes? The authors recommend specific varieties of many plants and the book has enough photos to guarantee any gardener will order more seed than there is room for outside. Other vegetable gardening guides that I have used include The Moosewood Restaurant Kitchen Garden and Week-by-Week Vegetable Gardening Handbook. Friends highly recommend Barbara Damrosch’s The Garden Primer. Which vegetable garden guides do you use? My favorite beginner vegetable guide is the old edition of Square Food Gardening by Mel Bartholomew. The newer edition isn’t as good in my opinion. Another good book for the more advanced gardener is Gardening When It Counts by Steve Solomon. His chapters on individual plants are excellent.